For the second time in three days, I see a movie about Cedar Rapids, Iowa, where you’re supposed to go to have some fun. 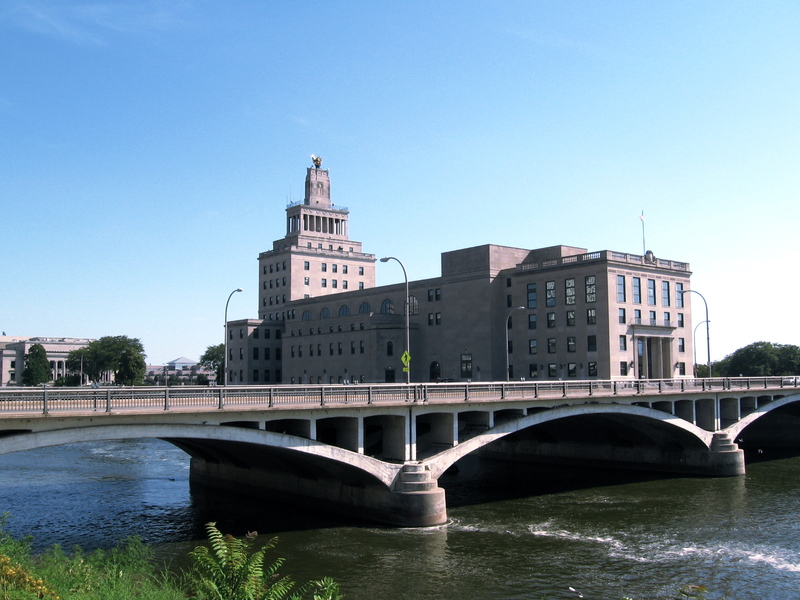 Actually, Fox Searchlight’s “Cedar Rapids” (director, Miguel Arteta) was largely filmed in Michigan (which is counting on building up a film industry), but real river shots of the town’s downtown area appear, as well as mention of the 2008 floods. Actually, the film is a situation comedy, pretty goofball, as a “conventional” late thirty-something insurance agent Tim Lippe (Ed Helms), who represents Brown Star Insurance in a small Wisconsin town (“brown star” could be a “brown dwarf”, a super Jupiter threatening Earth in some future science fiction script, like my own “Baltimore Is Missing”) gets sent to a motivational convention in a Cedar Rapids. We all know the tone of the event when Tim finds out that he has two roommates in the hotel suite. I recently traveled on business, had a one bedroom Hyatt suite to myself in Charlotte (wouldn’t be a bad place to live for an extended corporate assignment), but forced “roommates” would have been unthinkable. But on my very first job, my first night at the Royal Manhattan on 8th Avenue in 1970, I was supposed to have a roommate, who didn’t show. (He had a wife in New Jersey.) And in RCA’s MIS training program in 1970, people stayed three to a room in a New Jersey motel. I think EDS used to do that. All this stuff about “bonding” in the comedy gets pretty silly. In this heterosexual romp (where Anne Heche, ironically, and later ‘Ripley” Sigourney Weaver shine), the salesmen engage in some pretty crude locker room bonding. They’re hairy and soft-bellied. Ed Helms, who is 37 in real life, would look pretty good if allowed to, but for this movie he looks just too mushy (nobody in this film looks at “Men’s Health” and emulates the profiles of Ashton Kutcher or best body Garrett Hedlund (from Tron), ot perhaps Details with Andrew Garfield, who is “thin” but with gigantic upper body muscles). Tim here is no Timo, nor is he a Lincecum. This movie could have intermingled with characters from “Twelve Thirty” (Feb. 23), as Johnathan Groff could have beefed things up. To its credit, the film script mentions gay marriage (and the attending debate) recently legal but challenged in Iowa. And there is the bit about sales culture. At least I didn’t hear the “Always Be Closing” from Brent Huff’s “100 Mile Rule” from a Minnesota screening in 2002. I was approached by two companies in 2005 to become a life insurance agent. In their initial interviews, one of them talked about a "fast start". I'm not a peddler. I'm not interested in volume leads by email or Facebook, but I still get emails from the encounter. People with experience with the technology of the business may not want to personally sell it. Wikipedia attribution link for Mays Island picture, used in film.